Being a writer means being a fan of words, books, and recommendations of what to read next. Like most writers, we here at Pass the Prose love to get our hands on the next best works of literary art. Here are a few of our favorite reads from 2013. If you’ve read my previous post about how much I love Rainbow Rowell‘s books, you won’t be surprised to see this in my list. But Eleanor & Park is such a gem of a book that I’d recommend it to just about anyone. Rowell writes such entertaining, loveable, but unflinchingly honest characters, that this story will sneak through the chinks in your armor, right to the deepest parts of you. In contrast, the characters in Vicious couldn’t be more different from E&P. This is a story told in hyperbole, of supervillains and antiheroes. But it’s so masterfully written that you won’t be able to put it down. This may have been my first time reading a supervillain story, but it certainly won’t be my last, thanks to V. E. Schwab’s storytelling prowess. The Night Swimmer is written in that rare style of prose that is both accessible and beautiful all at once. I lost count of how many times I paused and rewound the audio just to listen to a phrase, sentence, or passage over again. I hadn’t read Matt Bondurant before, but I was really captivated by both the story and his carefully crafted writing. Couched in this quirky breakup story is some of the most stunning use of simile and metaphor I’ve ever seen. I shouldn’t have been surprised, having read Daniel Handler’s (a.k.a Lemony Snicket’s) other fabulous and educational books, but I’ve gone back through these pages again and again to learn from him. I always come away with that maddening sense of being both inadequate and inspired at the same time. Why We Broke Up is such a treasure; the story and the artwork will keep you turning the pages long past your bedtime. 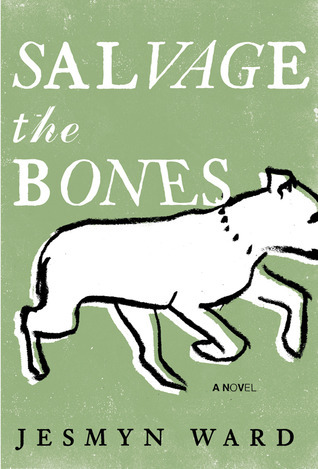 Salvage the Bones was given to me for World Book Night. It was the National Book Award winner in 2011. The book is set in Mississippi just before Hurricane Katrina hits. The tension of the literal brewing storm carries the reader through the whole novel, growing deeply attached to the characters. Jesmyn Ward is a fantastic storyteller. I don’t always read sci-fi, but when I do it’s Beth Revis and it’s fantastic. 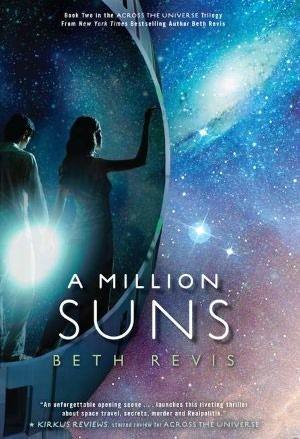 A Million Suns is the sequel to Across the Universe, a story about a teenage girl who’s frozen aboard a spaceship and is woken up before she reaches her new planet. Equal parts tension, romance, and oddly disturbing elements make this a quick read with beautiful language. 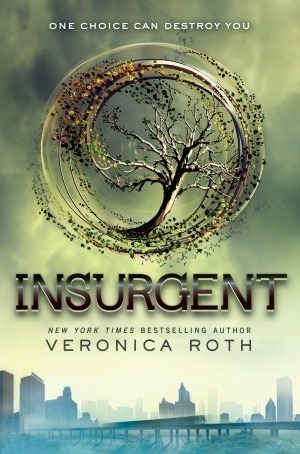 Insurgent is the sequel to the highly popular Divergent and is, in my opinion, even more tense, romantic, and riveting than the first in the trilogy. Listening to this one in the car was a bit dangerous. Before I knew it, I was so caught up in the action that I had my foot pressed down too hard on the accelerator. The action is just wonderful and the ending left me breathless. 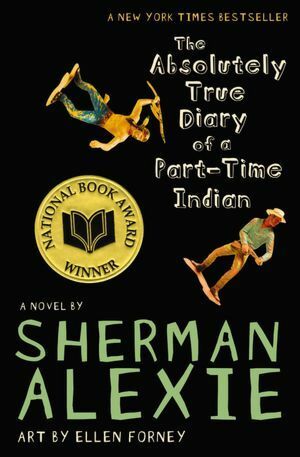 The Absolutely True Diary of a Part-Time Indian was my first Sherman Alexie novel to read and I absolutely fell in love with the main character and his identity crisis. The themes of this novel are specific and yet wildly applicable and relatable. I found myself feeling every emotion Junior felt, even the tears. 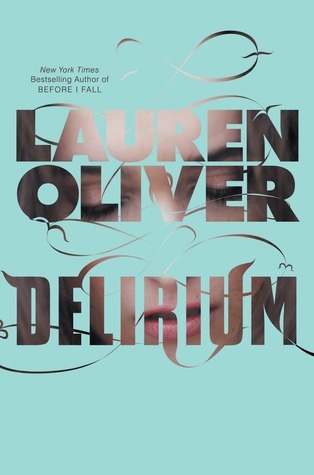 I listened to Delirium on audiobook and found myself lost in the beautiful language. The premise of the book–that love is a curable disease–is profound and riveting. I loved seeing such a powerful theme in a YA setting, and who doesn’t love a little bit of dystopia sprinkled with forbidden romance? After reading this novel, I sat down and started plugging away at my own novel. Have you read any of these from our favorites list? What did you think? What were some of your best reads from 2013? This entry was posted in Paige and Dani Posts on April 9, 2014 by passtheprose.